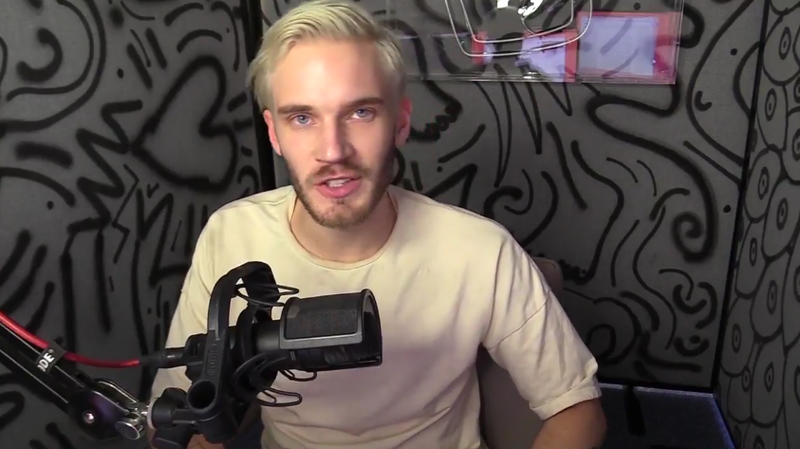 Pewdiepie has finally responded to the controversy surrounding a Wall Street Journal report that led to the cancellation of his YouTube show, and he does not mince words about the fallout. As you might already know, earlier this year Pewdiepie paid two Indian men on Fiverr to hold up a sign that read “Death To All Jews.” The incident blew up on mainstream media, eventually prompting the Wall Street Journal to ask brands who worked with Pewdiepie what they thought of his antics. In response, Maker Studios, a division of Disney, cut ties with Pewdiepie. YouTube also not only cancelled his “Scare Pewdiepie” show, they took him off the premium advertising service meant for influential channels with large audiences. As far as the Fiverr incident is concerned, Pewdiepie was apologetic. “I’m sorry for the words that I used, as I know they offended people and I admit that the joke itself went too far,” Pewdiepie said. “I do strongly believe that you can joke about anything but I also believe there’s a right way, and not the best way, to joke about things. Regardless, Pewdiepie took umbrage in the way that the Wall Street Journal took some of his videos referencing Nazis out of context. It’s true: Pewdiepie can and does reference Hitler in his videos, but that alone does not equal endorsement. Pewdiepie pointed out that in one snippet of footage, he was asking his fans to stop using Swastikas within a game, and in another, he was criticizing YouTube for adopting a program that seemed like a “Nazi scheme.” In context, those specific Nazi references are used to point something bad out, not to celebrate the movement. Near the end, Pewdiepie is visibly upset, and his eyes start to tear up. He says that he is glad that many YouTubers out there have come out in support for him. But he also took some time to skewer the Wall Street Journal. “We stand by the reporting,” said Colleen Schwartz, a spokeswoman for Dow Jones & Co., which owns The Journal. Mr. Kjellberg didn’t address some of the other videos highlighted by the Journal, including one that has since been taken down, in which he showed a man dressed as Jesus Christ saying, “Hitler did absolutely nothing wrong.” In that Jan. 22 video, he criticized the Israel-based website Fiverr for temporarily suspending the Jesus portrayer’s account on its site. “Isn’t it ironic that Jews found another way to f— Jesus over?” Mr. Kjellberg asked in that video.